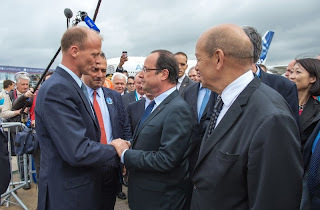 France and Germany fighting for the A350-1000 FAL. 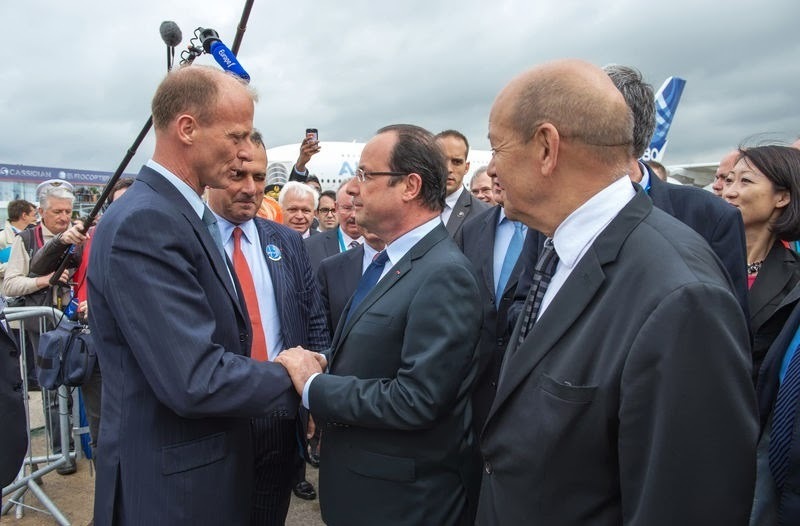 Toulouse wants current FAL extension while Germany wants the new A350-1000 FAL in Hamburg. 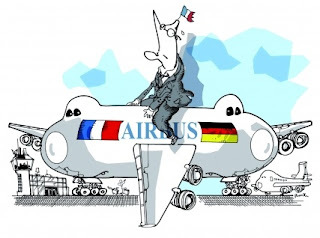 France warned in Le Bourget that it won't accept any deal between the German government and Airbus on the remaining amount that Germany owes toward the development of the new long-haul Airbus A350 unless the agreement suits the 3 other Airbus partner countries - the U.K., France and Spain. 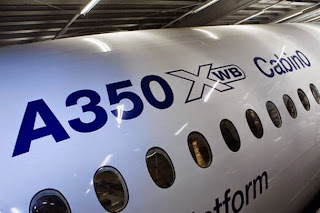 Germany has already paid EUR500 million toward the A350's development cost and is holding back on freeing up another EUR600 million to get assurances that it will get its fair share of work on the next-generation Airbus medium-haul, single-aisle aircraft. 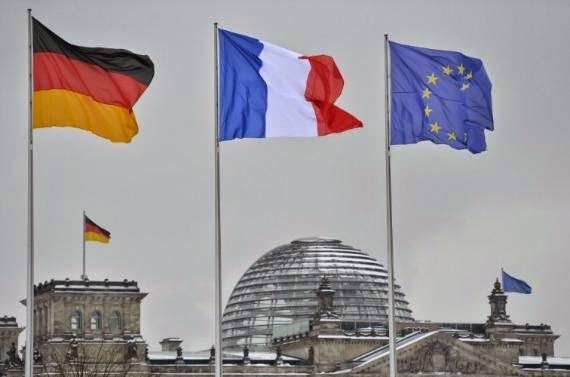 German State Secretary Anne Ruth Herkes said after a meeting of transport ministers from the Airbus partner countries that Germany "is in very constructive talks to see when and under what conditions we are paying the rest. Part of the launch aid has already been paid." "We are on the final trajectory, and we are in agreement on almost all of the remaining issues," Ms. Herkes said. There will be another meeting after the summer to discuss them." French Transport Minister Frederic Cuvillier told journalists after the meeting that any decision must be balanced and in the interest of Airbus. 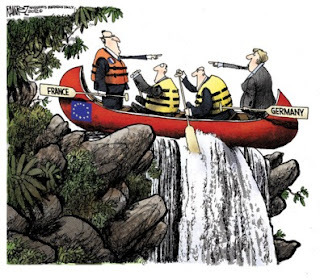 "I am confident that Germany will pay and that an agreement will be found," he said. 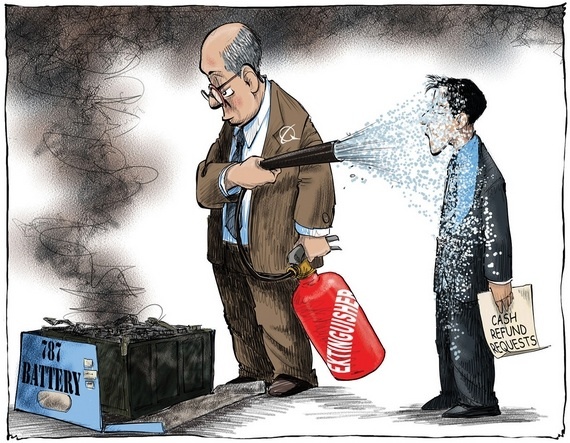 But he warned that "if that is not the case, we will recognize that there is no agreement. There will be no agreement that is at the detriment of any other party." At issue is Germany's insistence on getting more work on future Airbus A320 NEO, notably some responsibility for design and research, work that is currently carried out at Airbus's headquarters at Toulouse. "When you give someone a credit you ask for guarantees," Ms. Herkes said. "It is the same for all partners that want manufacturing, research and technology benefits for their respective countries," she said. The discussions will stand by because of the German federal election scheduled for 22/Sep/2013 to determine the 598 members of the 18th Bundestag. Opinion polls continue to indicate that a clear win by either the CDU+CSU/FDP coalition or the SPD/Greens coalition remains unlikely so far. 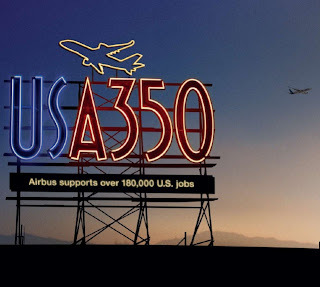 Based on the article “France wants fair deal on A350 launch aid” published in the Wall Street Journal and on the article “L’Allemagne maintient la pression sur le financement de l’A350” published in the Usine Nouvelle. 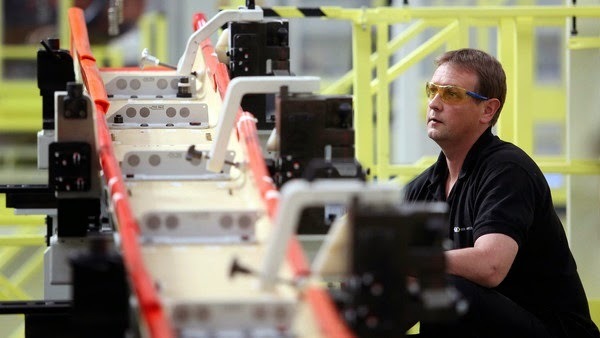 Daily Mail said GKN is readying a takeover bid for Spirit Aerosystems. “Acquiring only a part of Spirit, specifically wing activities, would make more sense”. GKN is preparing a cash-and-stock offer valued at $5 billion, according to the Daily Mail report, which cited unidentified dealers. Bank of America Corp.’s Merrill Lynch is advising GKN, according to the report. A buyout would be a boost for investors as Wichita, Kansas-based Spirit struggles to meet financial forecasts. “Given the lack of profitability on its current development programs and a lack of cash generation, a bid at the reported level would seem extremely generous,” a New York-based analyst at Royal Bank of Canada wrote in a note. 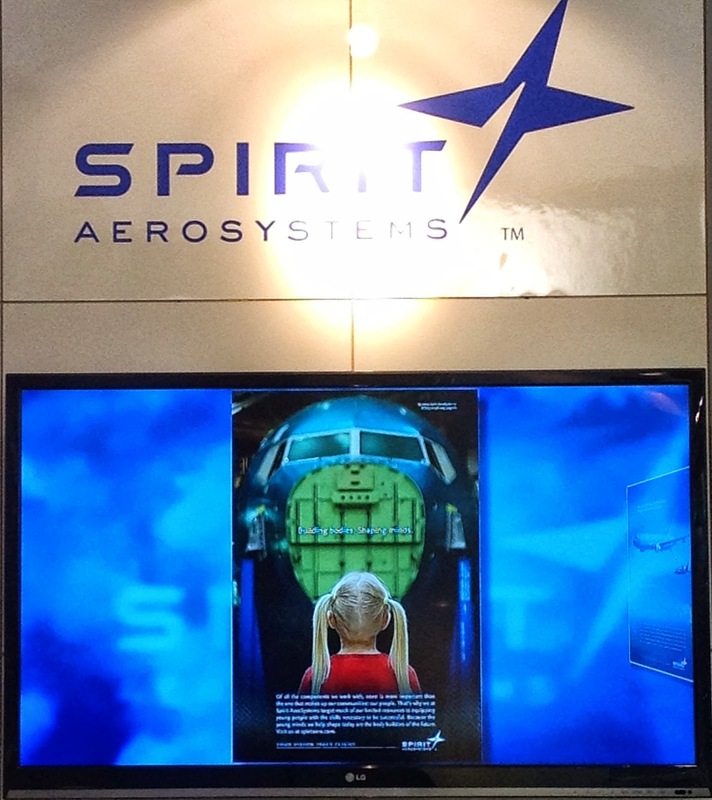 Spirit was previously a unit of Boeing before Canadian buyout firm Onex Corp. purchased it in 2005. Boeing still makes up about 84% of sales at Spirit. Airbus, its second-largest customer, is considering buying one of Spirit’s factories to limit production risks on its A350 program by monitoring its suppliers and step in early when issues arise, an executive said last month. employees in Kansas and Oklahoma facilities are receiving layoff notices as Spirit works to cut expenses. GKN also makes parts for Boeing’s 787 Dreamliner and is a supplier to the A350, producing composite parts for wings on the long-range jet. 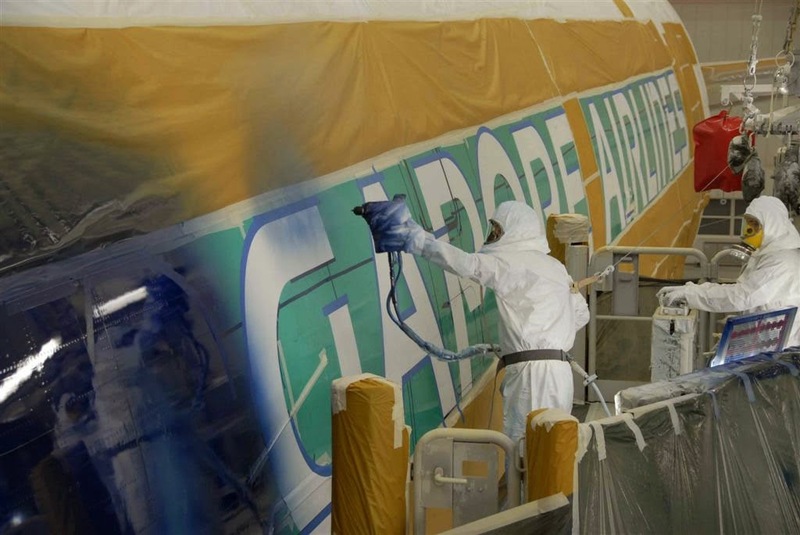 GKN has been expanding its aerostructure activities since the purchase in 2008 of Airbus’s Filton production facilities for 136 million pounds. “I’m sure GKN has more than a passing interest in Spirit, but I’m sure it is entirely platonic,” said Sandy Morris, a London-based analyst at Jefferies LLC. GKN is still digesting Volvo Aero and investors wouldn’t react well if it sought to raise equity to buy the U.S. company, he said. “Acquiring only a part of Spirit, specifically wing activities, would make more sense”, Morris said, “whereas taking over fuselage structure work the company does for Boeing would hold little value for GKN. 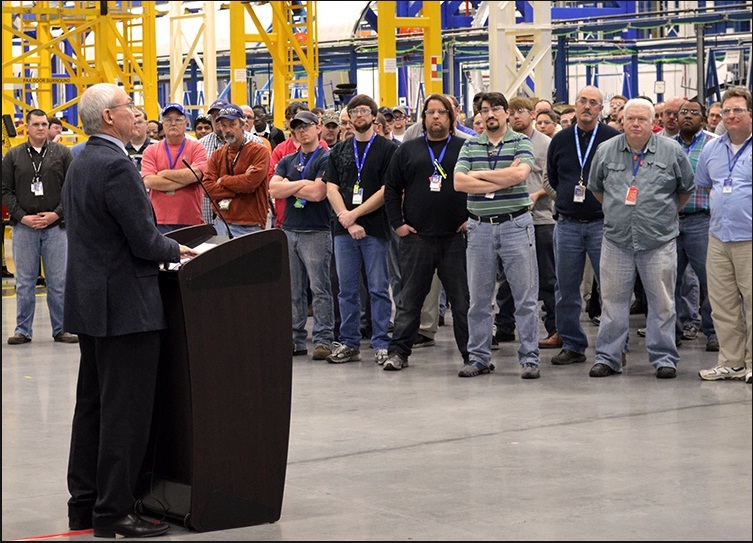 The Tulsa factory employs about 3,000 people and produces wing structures and components for Boeing 737NG, 747, 777 and 787 jetliners, Spirit said. 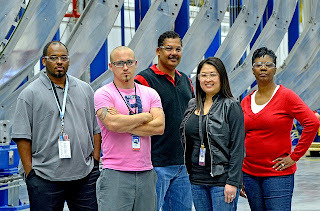 Spirit also makes wing components in Kinston, North Carolina, for the Airbus A350 XWB, and has a factory in Prestwick, Scotland, that supplies many Airbus models, including the A380 superjumbo. 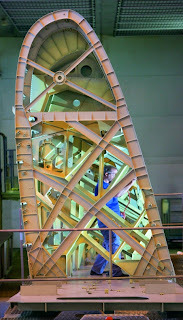 A plant in Subang, Malaysia, makes composite wing sub-assemblies. The broader Spirit wing division is not part of the possible sale, the sources said. GKN isn’t commenting on the report, a spokesman, Chris Fox, said by phone. CEO Nigel Stein said in February the company was ready to do deals after last year’s purchase of Volvo’s aerospace unit for 633 million pounds ($972 million). Spirit also declined to comment on the GKN speculation, Ken Evans, a spokesman, said by phone. 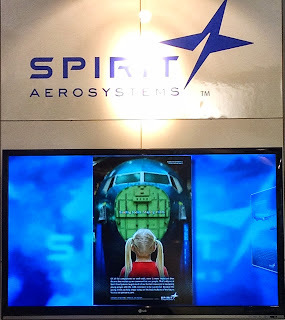 Spirit started reviewing four units, including divisions in Kansas and Oklahoma, after former Lockheed Martin executive Larry Lawson became chief executive in March, following losses from cost overruns in 2012. 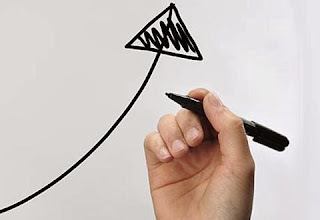 In May, Lawson hired Heidi Wood, longtime managing director of aerospace research at Morgan Stanley, as vice president of strategy at Spirit. 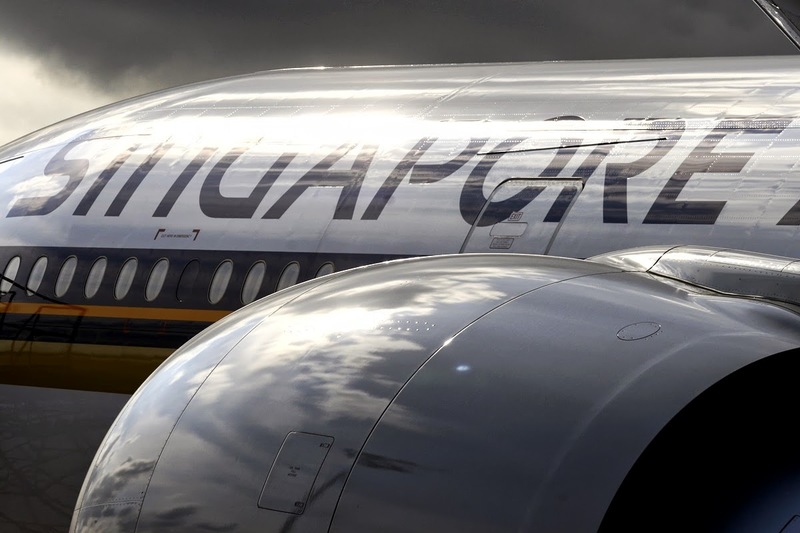 A350-900R: Singapore Airlines will be the launch customer of the Regional version of the A350-900. Airbus has been quick to dismiss the merits of Boeing's new 787-10 since its launch at the Paris air show in June, a sure sign that the European airframer considers the new aircraft a serious competitor. Another sure sign is this: Airbus plans to launch a new A350 version to go head to head with the -10. Although Airbus has been talking with individual airlines about what it is calling the A350-900 regional, and it says some have firmed up commitments already, it plans to formally offer the aircraft toward the end of this year. “[The airlines] have kept it quiet for a while because they want to see how exactly we position it,” Airbus COO-Customers John Leahy says. The -900 regional is going to be structurally identical to the baseline aircraft, but its engines will be derated to 75,000 lb. thrust, the same as those powering the smaller -800. The regional variant will also be limited to a maximum takeoff weight (MTOW) of 250 tons, compared to 268 tons for the long-haul version. Airbus is not saying when the aircraft will be ready for entry into service, but some certification work will be necessary. The move to proceed with the A350-900 regional is not only significant as a reaction to the 787-10. It shows that Airbus is starting to pay more attention to customers that have quietly or publicly been complaining about what they describe as excessive range capabilities built into new long-haul aircraft, which are essentially only needed by the big three Persian Gulf carriers for services to the U.S. West Coast, Australia or Latin America. Such ranges are not needed by European, U.S. and even many Asian airlines. 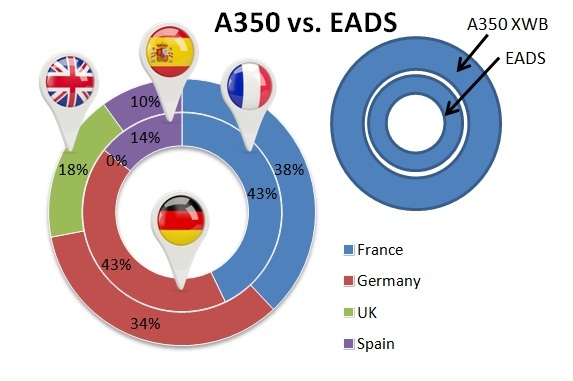 The A350-900 regional can still easily fly most transatlantic missions and all medium- to long-haul services that would be typical of longer intra-Asian routes. It is also suited for Middle East-Europe and Middle East-Southeast Asia flights. Airbus says the A350-900 regional “proves to be a very strong competitor to the newly launched 787-10,” arguing that it offers the same payload/range characteristics and “comparable economics.” In other words, it is acknowledging that the A350-900 does not. However, Airbus asserts that the regional variant is actually a more pleasant aircraft than the 787-10 from a passenger perspective. In a nine-abreast configuration, the A350-900 can accommodate seats that are 18 in. wide, while the 787's are just 17 in. wide. Furthermore, the 787-10 will operate at its maximum thrust level, according to Airbus, whereas the -900 regional will not, leading to reduced maintenance costs. The variant can be reinstated to full range capability through changes in software and some paperwork (plus a fee to Airbus, as the lighter aircraft has a lower price). That could be an important asset for leasing companies, because it broadens the base of potential customers. It would also offer airlines the flexibility to switch from regional to long-haul flying as their networks evolve. 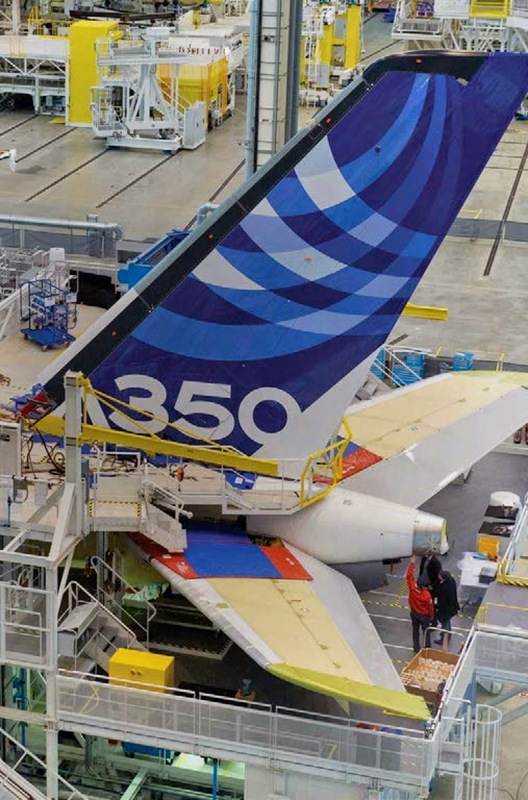 Singapore Airlines is buying a batch of the de-specified aircraft as part of its follow-on order for 30 A350-900s, which was announced in May/2013 for delivery starting in 2016. The Asian carrier –which has placed total firm orders for 70 A350-900s- says it “plans to operate the aircraft on both medium and long range routes” but declines to comment on any plans to introduce the lower-weight version. It has also committed to 30 Boeing 787-10s. Based on the article “Full Circle” published in Aviation Week and based on the article “SIA first in line for lower MTOW A350” published in Flight Global. Industria de Turbo Propulsores (ITP) and Rolls-Royce have signed an agreement by which ITP will be responsible for the supply of Low Pressure Turbines (LPT) for two new engines: the Trent XWB-97 for the Airbus A350-1000 and the Trent 1000-TEN for all versions of the Boeing 787. This contract will generate sales for ITP of 4.000 million euros in the next 30 years. 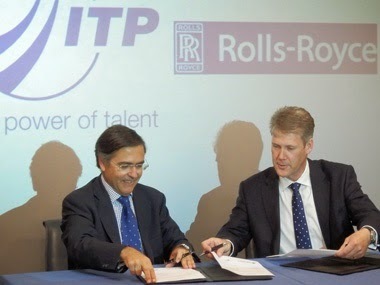 In both agreements ITP will participate as a Risk and Revenue Sharing Partner for the life of the programmes, hence extending ITP´s participation to the complete family of Rolls-Royce engines for twin aisle commercial aircraft. ITP will be responsible for the Design, Manufacture and Assembly of the Low Pressure Turbine module for both engines. 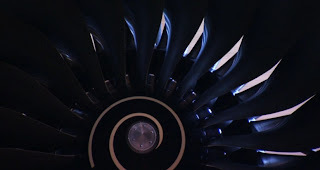 The Low Pressure Turbine Module is one of the main engine modules in modern large turbofans. ITP will perform the complete design of the turbines, including all phases of the design, from conceptual design, to detail design and development utilizing the latest technology In order to produce the cleanest and most efficient turbines. 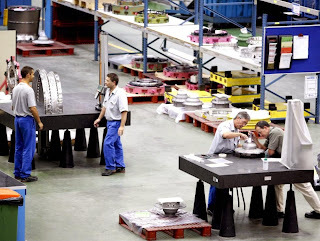 ITP will manufacture all the key components of the turbines in the facilities of the ITP Group utilizing the latest manufacturing technologies and will perform the module assembly in order to supply a complete assembled module to Rolls- Royce, ready to be installed in the engines. 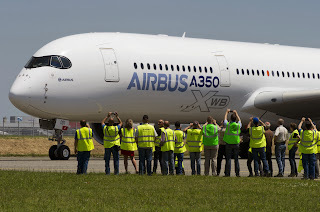 The Trent XWB-97 is the new engine being developed by Rolls-Royce to power on exclusive basis the Airbus A350 -1000, with capacity for 350 passengers. The engine will have a thrust of 97.000 pounds. 787 prepared for production rate increase with new engineering organization and continuous electrical systems´ missteps. After days of stonewalling it has been confirmed that a Qatar Airways 787 caught fire in a rear underfloor part of the fuselage, last Sunday as it was moving into position to take off from Doha airport. The fire -described as ‘serious’ in some quarters, ‘not serious’ by the airline- had extensively damaged an important panel in the electrical bay that also caught fire in a test flight Dreamliner in Nov/2010, causing an emergency diversion to Laredo where that jet was evacuated. Although the incident was described by Qatar Airways as minor the jet -registered as A7-BCB- has not flown for six days. “This is a minor issue for us, and not an incident, so we are not commenting,” a Qatar Airways spokeswoman said. More defective or incorrectly wired or installed ELTs -crash location beacons developed by Honeywell- are being found in 787s already in service. These discoveries are largely being made by airlines (ANA, United) following a very damaging fire in an Ethiopian Airways 787 at London’s Heathrow Airport on 12/July. "We have found small damage to the covering of the battery wiring in two Emergency Locator Transmitters," said ANA spokesman Shinsuke Satake. According to the UK safety investigator, an in flight ignition of an ELT could have serious consequences. The US safety investigator, the NTSB, is continuing to seek a cause for the heavy duty lithium-ion battery problems that saw the FAA scramble to catch up with Japan’s decision to ground the Dreamliners in January after 2 serious and high profile incidents in Japan registered 787s. Qatar Airways Chief Executive Akbar Al Baker said in May that the airline had to forego $200 million in lost profit because of the grounding of 787 planes, but has received compensation from Boeing for the losses. Boeing announced internally Friday a reshuffling of top engineering executives in the Commercial Airplanes unit. Mike Sinnett leaves his post as chief project engineer for the 787 Dreamliner. Sinnett, who joined Boeing in 1991 after working on fighter jets at McDonnell Douglas, led the development of all the 787’s airplane systems from the beginning of the program a decade ago. 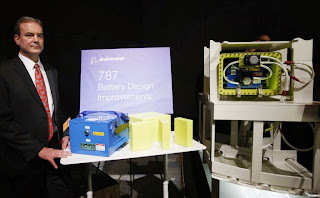 And it was Sinnett who this year led the effort to design a fix for the main-battery overheating problems that grounded the 787 for almost four months. 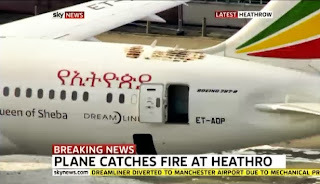 After the grounding was lifted, it seemed Sinnett had put the 787’s troubles behind him until the 12/July fire aboard a parked Ethiopian Airlines 787 at Heathrow raised a new set of concerns. Sinnett now steps sideways to a less stressful position as vice president of product development. Replacing Sinnett as 787 chief project engineer is Bob Whittington, who previously held that post on the 777 program. The 787-9 wich is expected to make its first flight within next 2 months after the imminent roll-out will enter service in mid-2014, probably before the A350 XWB. Boeing is dropping the strongest hints yet that it will inevitably push 787 production beyond 10 aircraft per month. 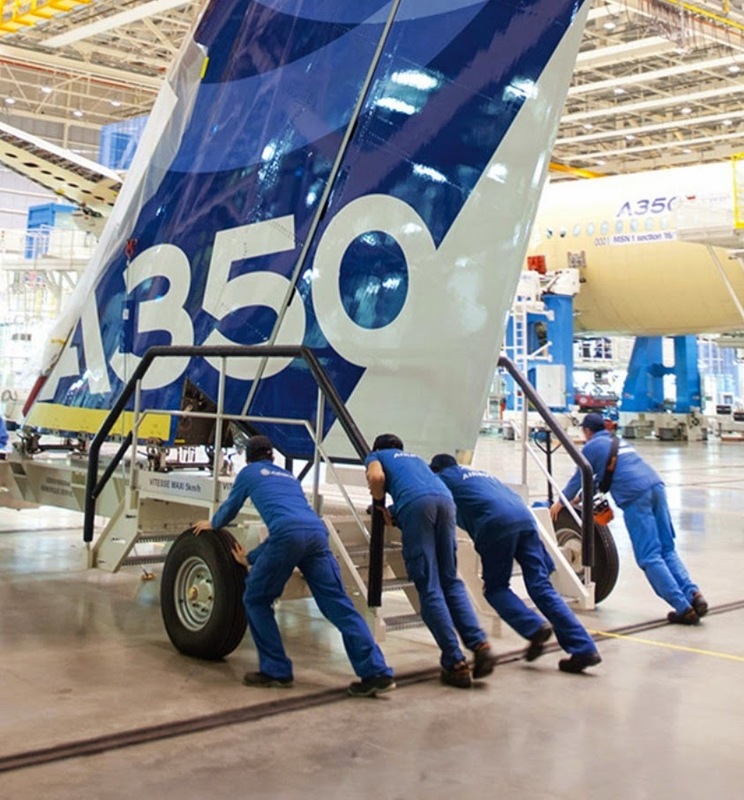 Airbus is exploring the purchase of a factory owned by U.S. supplier Spirit Aerosystems to limit production risks on its A350 wide-body, the head of the aircraft program said. Airbus is seeking to minimize the risks on its A350 program by monitoring suppliers in order to step in early when issues arise. Airbus increased efforts to help Spirit more than a year ago, dispatching personnel to a site in Kinston, North Carolina, and to Saint Nazaire. The company will decide on the future ownership of the French facility in coming months, said Evrard, without providing details on the possible cost. 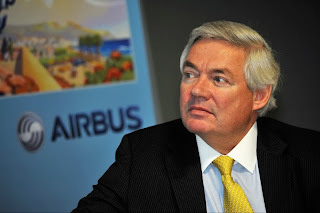 Spirit would keep the contracts it has with Airbus in case of a takeover of the Saint Nazaire facility, Evrard said. 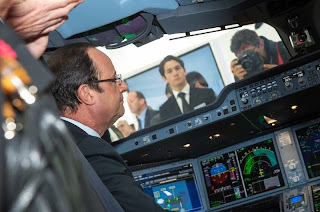 First flight in the A350 XWB cabin demonstrator took 5 hours. Airbus has successfully completed the 1st cabin virtual flight paving the way for the first commercial passengers to fly on the A350 XWB in the 2nd half of 2014. To ensure system maturity at EIS entry-into-service, verifying correct operability and analyzing human factors in conditions as close to reality as possible, Airbus put in place the “Cabin 0” concept at the beginning of the development phase; a representative section of A350 XWB fuselage that features the cabin systems found on the real aircraft. The use of such equipment allows this test to be performed long before an aircraft with a fully equipped cabin is completed and the first passengers can be transported. The 2 real airline pilots, 8 airline cabin crew members and 129 passengers onboard went through all the various flight phases of a real flight from boarding to deplaning including a meal service and a snack before arrival served from the integrated galleys. Having stowed their hand-luggage, the passengers were able to try out different seats while the crew operated various systems including the all-LED lighting and intercom from the flight attendant panel (FAP) that centralises around 40 different control functions. 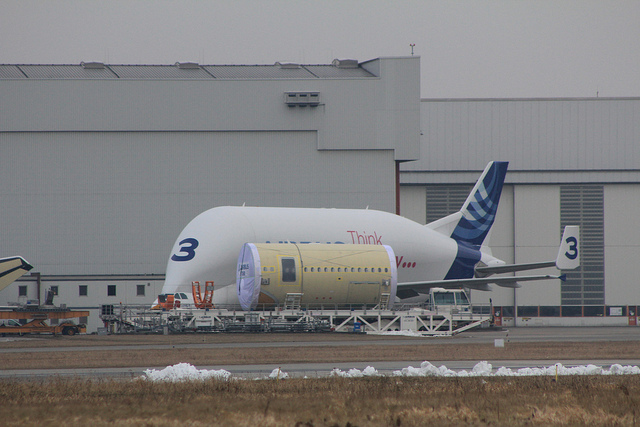 Two of the five A350s in the test fleet - MSN2 and MSN5 - will be fitted with cabin interiors. These aircraft will be used for early long flight, evacuation and route-proving tests. 4 years of engineering hard work using the “DMU as master” to close the A350 XWB MSN1 Digital Mock-Up before the first flight. 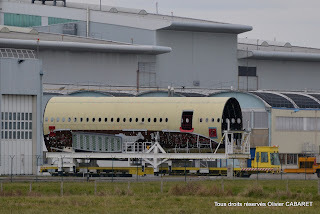 One month and a half before the first flight, the DMU (Digital Mock-Up) for the first flyable A350 XWB (MSN1) was closed. During 4 years since the first drawing -the pylon- was produced in April 2009, MSN1 definition has been generated using DMU as a unique master, shared by all teams at Airbus and suppliers. More than 50.000 Definition Data Sets for airframe and additional 4.000 for Flight Test Installation has been produced from January/2012 until April/2013. The MSN1 DMU has allowed detecting and solving a very important number of design issues well in advance, drastically reducing the number of non conformities and corrections at the FAL, saving significant time. In the DMU reviews of the different teams and workpackages during the development phase, a special focus on Zone Safety Analysis has enabled teams to reach a high level of design quality regarding safety. phisical mock up in the past. A mature DMU is the base to be prepared for the ramp up. 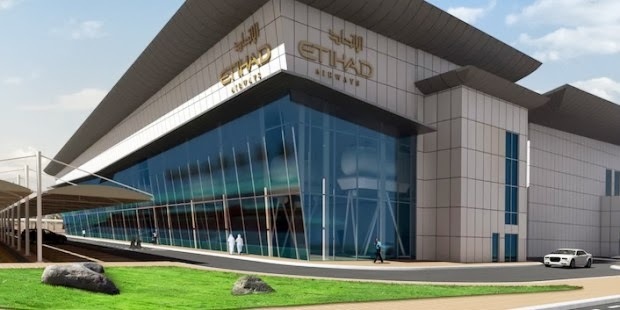 Etihad Airways is doubling the capacity of its training academy by purchasing 7 full flight simulators, in a $200 million deal. 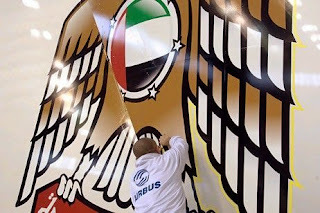 The deal with Canadian manufacturer CAE will see Etihad Airways take delivery of its first Airbus A380 and Boeing 787 FFS, and will support the airline’s growing training requirements. In total Etihad Airways has ordered 3 Boeing 787 FFS, 1 Airbus A380 FFS, 1 Airbus A350 FFS, and 2 Airbus A320 FFS. All are CAE 7000 Series models. The airline currently has 4 CAE FFS: 1 Boeing 777, 1 Airbus A320 and 2 Airbus A330/340s. 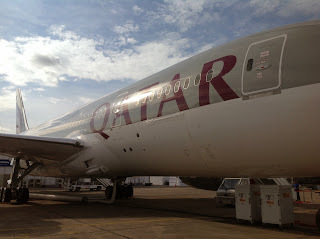 The A350 Full Flight Simulator will arrive in 2014, in parallel to the EIS of the aircraft with the launch customer Qatar Airways. 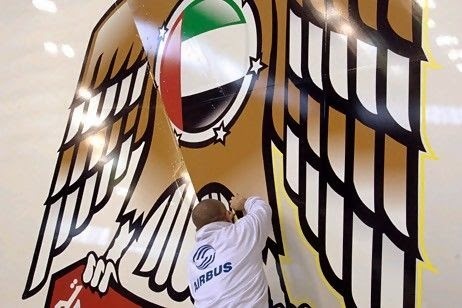 Etihad has an order for 12 A350-900 (plus options for additional 10) and an order for 42 Boeing 787-9; this is the reason they buy 3 FFS for 787 and only 1 for A350 XWB. The construction work at the training academy will double its size and eventually house 11 full flight simulators and be among the best in the world. The deal with CAE includes update services for the FFS and an exclusive 10-year agreement for training equipment and services. The flight training devices include CAE Simfinity Airbus Pilot Transition trainers and CAE Simfinity Integrated Procedures Trainers. A350 XWB maximun production rate of 13 aircraft / month. Airbus plans to produce the A350 at a rate of at least 13 per month. 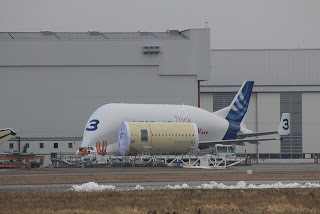 “This confirms a long-reported rumor we’ve heard but which Airbus would never acknowledge.” wrote Leeham News. The confirmation came from presenter ElectroImpact, which is headquartered in Everett and has a major facility in Broughton, Wales, where it makes wings for the A380 and A350. The A350 facility was built with a capacity for 13 A350s per month. 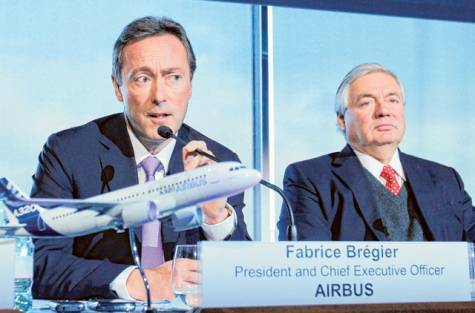 Airbus has only acknowledged its production plans call for 10 per month within four years of entry-into-service (2H2014). Consideration to creating a second A350-1000 production line is underway and has been publicly promoted by John Leahy, COO Customers. No timeline for the decision has been specifically set, though it may come by year end. Airbus parent EADS is pushing for more U.S. sourcing to take advantage of the fact that it sells aircraft in dollars, to diversify its own risk away from over-reliance on Europe, and to tilt the U.S. political calculus in its favor. 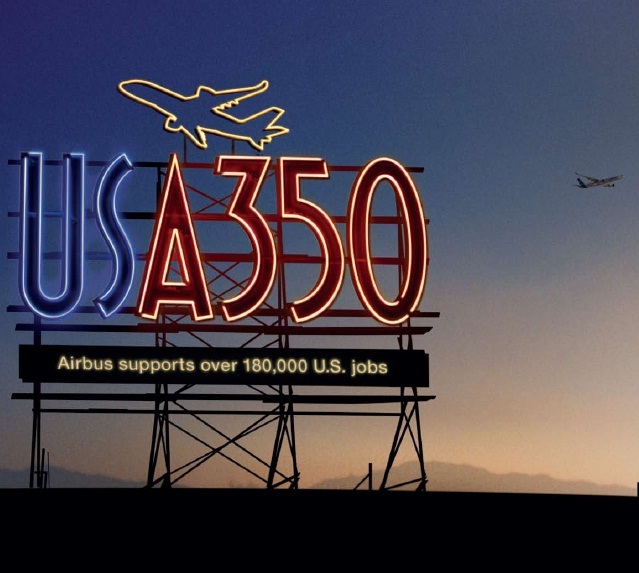 Based on the article “Airbus comes to Washington offering work to Boeing suppliers” published in the Puget Sound Business Journal. 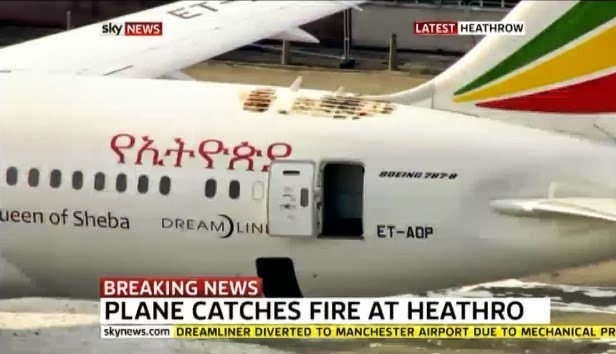 Boeing may be breathing a sigh of relief that a fire onboard an empty Ethiopian Airlines 787 Dreamliner in London had nothing to do with the jet's lithium ion batteries, but now it faces a new challenge. The Dreamliner is the first commercial plane with a composite fuselage, and the company is learning that the design — considered a boon because it makes the plane lighter and more efficient — could also make it more difficult to repair. The company would not comment on the specifics of damage and repairs to the Ethiopian 787, citing the ongoing investigation, but a spokesperson told us it has "demonstrated designs and processes for composite repairs making it no more difficult than similar size repairs on metal airplanes." Those processes are about to be put to the test, putting the plane maker in new territory. In a post for Composites World, Jeff Sloan writes that the Ethiopian aircraft will require "possibly, one of the largest composite repair projects in aerospace industry." 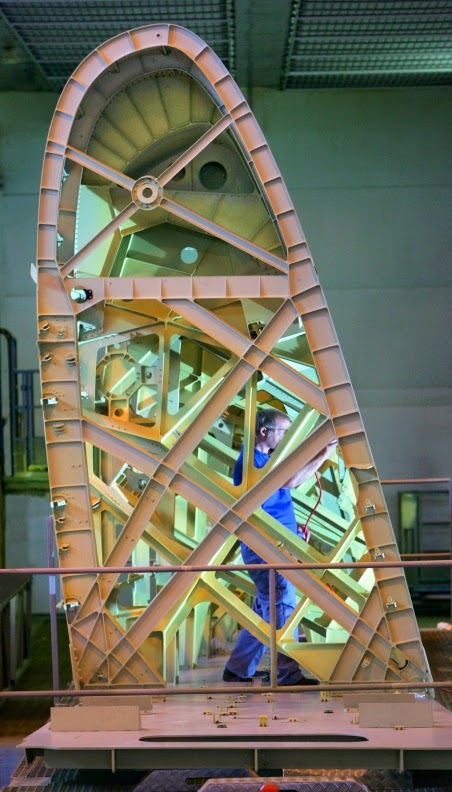 Things are further complicated by Boeing's decision to manufacture sections of the fuselage as full barrels, instead of the usual way, in panels that are joined together. That choice, Boeing has said, reduces the number of parts on the plane and improves aerodynamic performance. 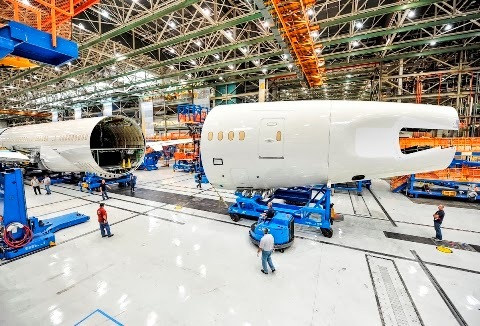 Jon Ostrower at the Wall Street Journal notes that during the early days of 787 manufacturing, Boeing suppliers sometimes had to throw out entire barrels that were flawed, when repairs cost too much money. For the Ethiopian aircraft, he adds, the full replacement of the damaged barrel may require "new tools to remove the entire tail of the jet and reattach and align all the parts." Airbus, which is currently testing its own jetliner with a composite fuselage, the A350, stuck with the conventional panel method. 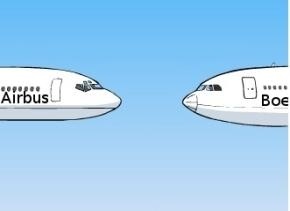 Last month, we asked A350 communication manager Eric Ezell why Airbus didn't follow Boeing's example. 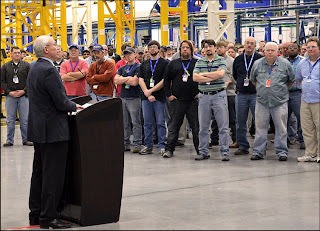 He explained that using panels gives workers more room to maneuver during the construction process, and makes the plane easier to repair if necessary. Considering Boeing's current predicament, it was a prescient decision. 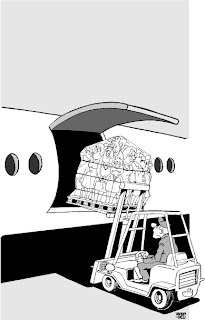 Boeing, however, is adamant that the benefits of composites outweigh this sort of difficulty. 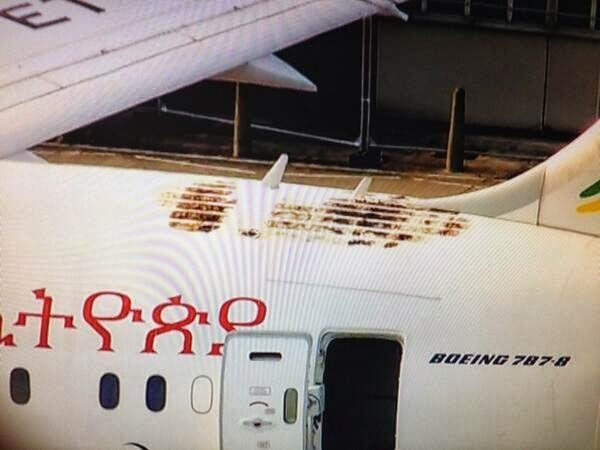 Asked if this latest problem makes Boeing reconsider their use, a spokesperson said "Not at all." Based on the article “Here's Why Damage To The 787 Dreamliner Is So Difficult To Repair” published in Business insider.